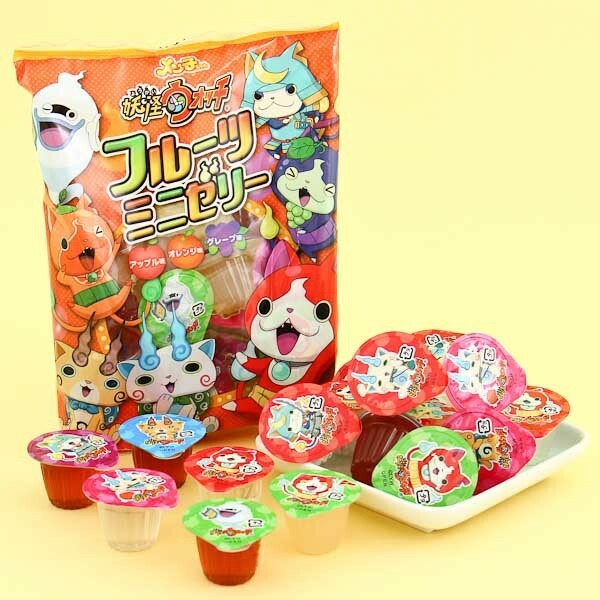 Treat yourself with these yummy Yo-Kai Watch mini jellies! 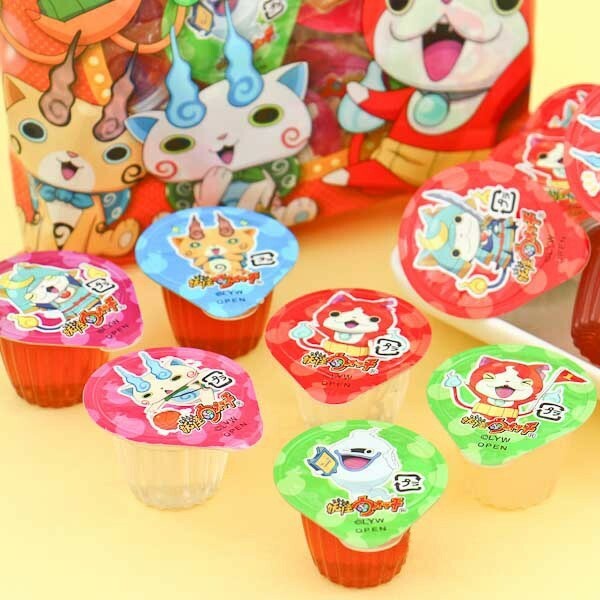 Yo-Kai Watch is a very popular anime in Japan, and these fruit-flavored jellies are a tasty testament to it! The mini-sized jellies come in 3 flavors: apple, orange, and grape. Every little jelly package has a random Yo-Kai Watch character on the lid, and you never know what variations you will receive! Do you have what it takes to become a Yo-Kai trainer and befriend – or eat – these adorable Yo-Kai jellies?